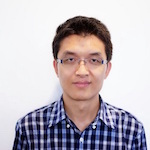 Yuwei Zheng is a senior security researcher concentrated in embedded systems over 10 years. He had reversed blackberry BBM, PIN, BIS push mail protocol, and decrypted the network stream successfully in 2011. A year later, he finished a MITM attack for Blackberry BES based on a modified ECMQV protocol of RIM. At the end of 2014, he joined the Qihoo wireless security research group, Unicorn Team. Now he is focusing on the security issues of embedded hardware and IOT systems. He was the speaker of DEFCON 23 giving a presentation on building a free cellular traffic capture tool with a vxworks based femoto.